"The love of particular places, such as the spots in which we were born, or have passed our lives, contributes to sustain all the affections, and to render us better citizens and better men," declares famed American author James Fenimore Cooper in his introduction to The Chronicles of Cooperstown. His affection for the charming village that bears his father's name is matched only by his intimate knowledge of its origins and people. 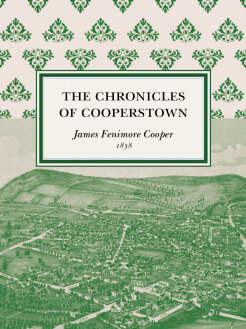 Published by Cooper in 1938, this slim volume covers the history of Cooperstown from the pre-Revolutionary War period to the early 19th century.